The traditional first crew race of the Spring season, against an ancient rival, Buckingham Browne and Nichols (BB&N). Sadly, the race reverted to form, with no wins against BB&N, unlike last year's first ever (and only so far). 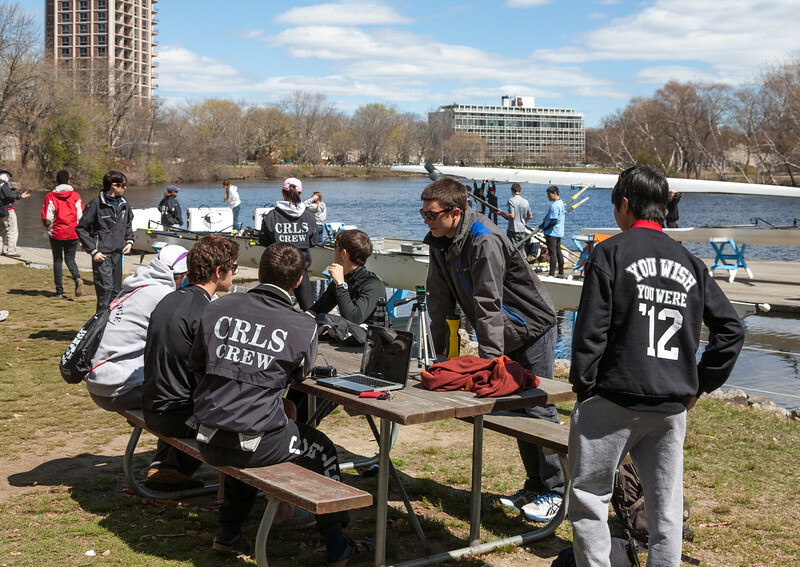 But for the first time, CRLS was able to field a full line-up of boats: four Girls Fours, and four Boys Fours. For many of the younger rowers (especially 4V, 3V), this was their first race! I was taking pictures from the girls' coach's launch, so I saw more of the girls' races. Benjamin coxed Boys second varsity, and Isabel was home from UVM for the weekend.